This time of the year I start count downs. There is a count down for December 21st, the winter solstice, after when I will enjoy days getting longer. And the count down to Spring, and the return of sunny and warm days. But that doesn’t mean there isn’t beauty to be seen and experienced this time of the year in this area. And the bikes need to have their juices flowing. And the bikes and I need to have our batteries re-charged. Riding is the best way of maintaining the bikes and the rider in top shape. So I take the bikes out for short rides whenever is possible, when there is a break in the rain. 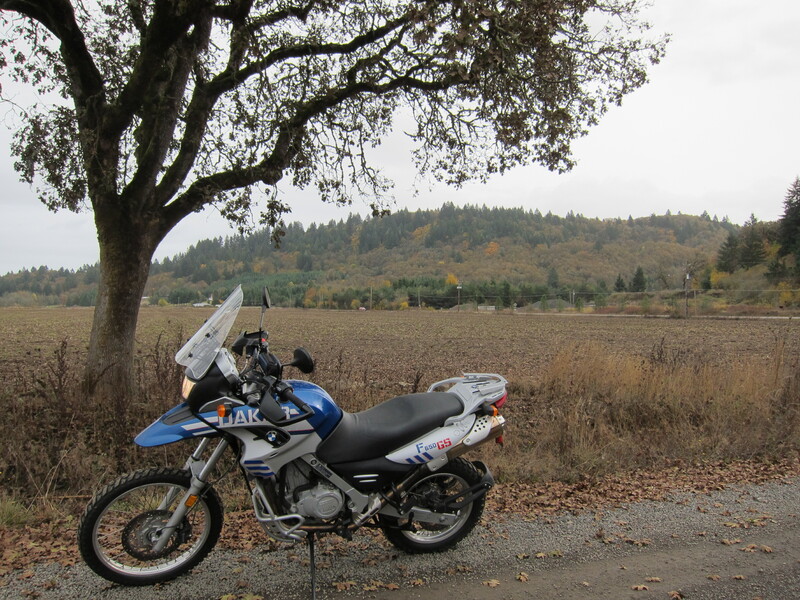 So I took the Dakar out for a spin towards parts north of Eugene this Saturday. 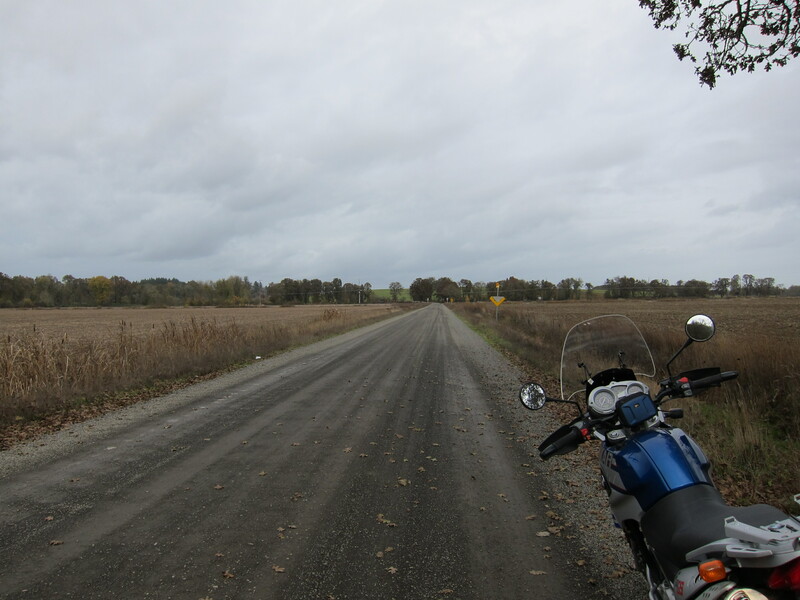 I was not planning on getting on any dirt roads, but could not resist the calling when I found a new road for me, McFarland Rd. It was a short ride. 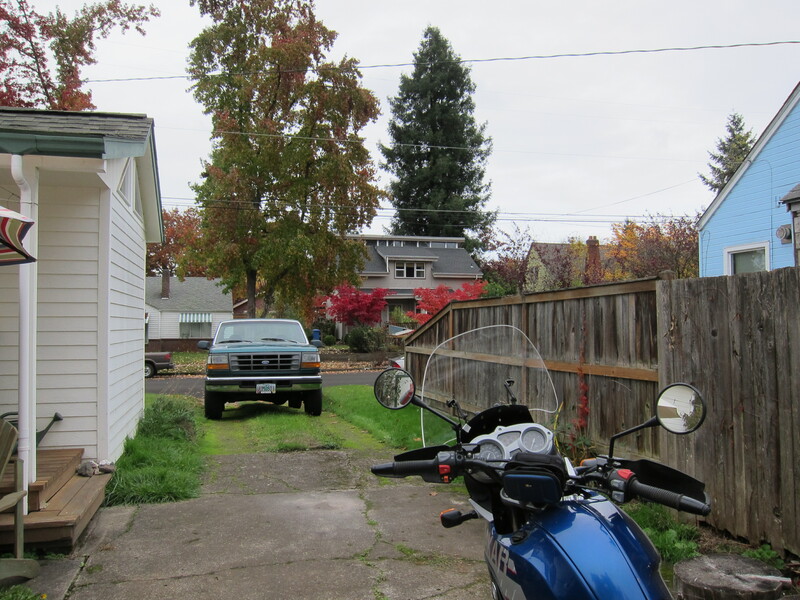 The tires were new and I had not ridden this bike since my failed attempt to go to the Steens back in early September. Good time to be reacquainted with it. I was also trying a new windshield. I’m about giving up trying to find anything that will work. A very nice ride under threatening skies. 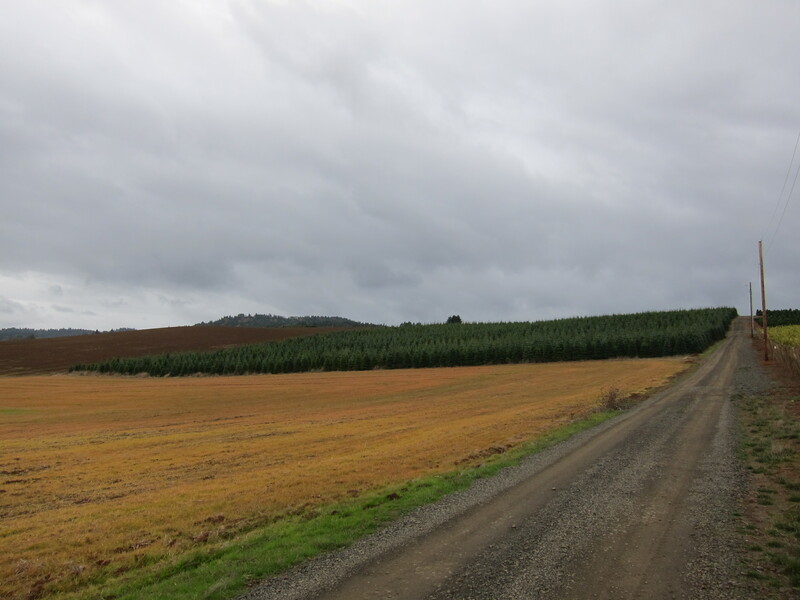 Oregon’s main source of income comes from agriculture products: grapes and wine, grass seeds, flowers, forestry products, beef, and dairy among the many products that make Oregon run. 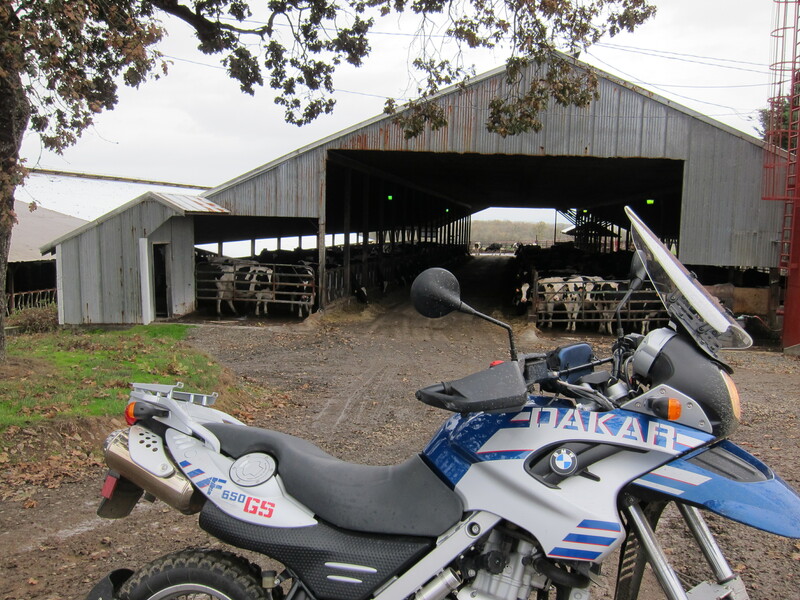 Here I stopped by a dairy farm along the way. 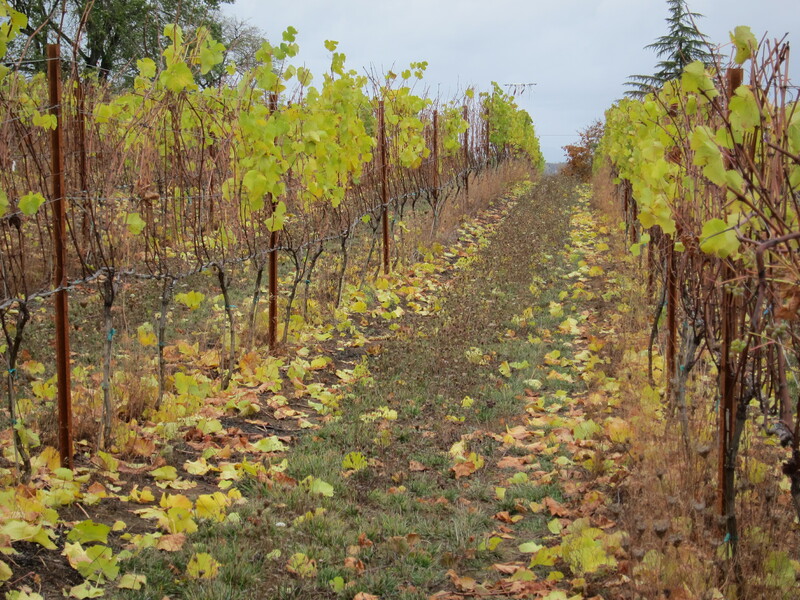 And I stopped by another farm to photograph vines, where grapes have all been picked already, and now the leaves are turning and soon them and their colors will all be gone. Colors everywhere. Christmas trees anyone? And I soon was back home. About 80 miles or so. That was it. 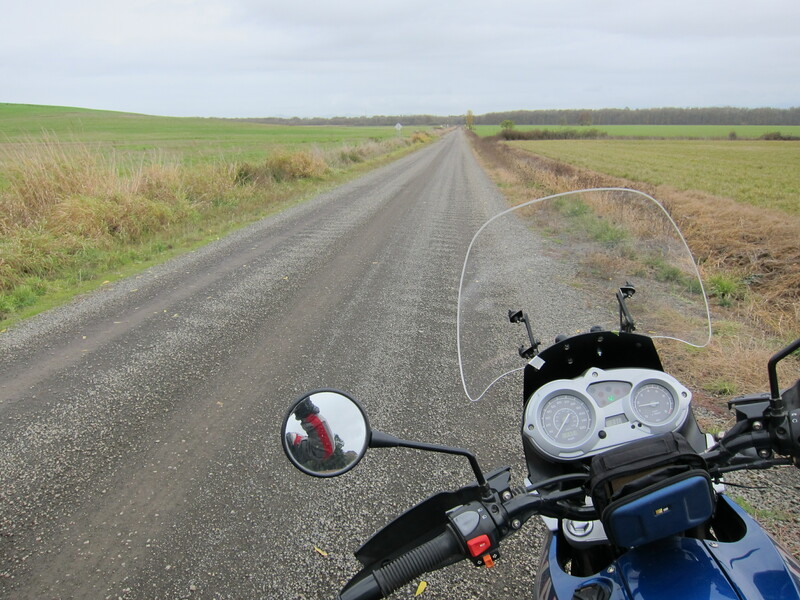 A short but sweet ride where I got the chance to slide the bike around a couple of gravel corners. The tires, Heidenau K60’s, are approved for dirty jobs. And I was really glad I took this bike out for a spin.